Prepare our Greek Vegetable Salad. 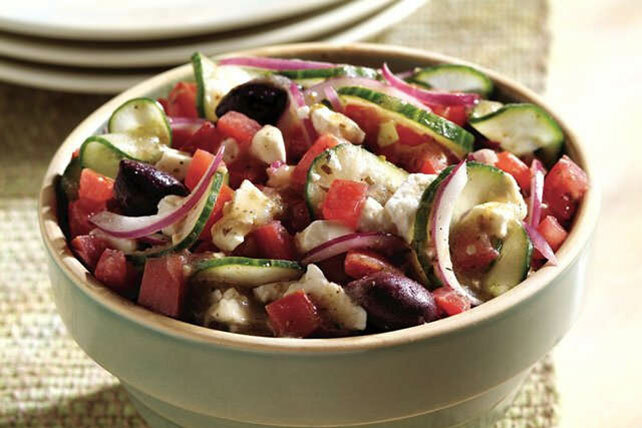 Our Greek Vegetable Salad includes tomatoes, cucumbers, feta cheese and more. Mix vegetables in large bowl. Add dressing and feta; toss lightly. Serve immediately. Or, refrigerate until ready to serve. Serve vegetable salad over mixed greens. Or, serve with toasted pita bread wedges.